Homepage - The homepage is heavily image-based and quite clearly laid out. No complaints there considering the type of products Habitat sells. Navigation - As for the navigation menu, it is easily accessible from the homepage and easy to use once you go into it. Functionality - The functionality of the menu is actually pretty good. When you click on a parent category a second menu replaces the first with further sub-categories. 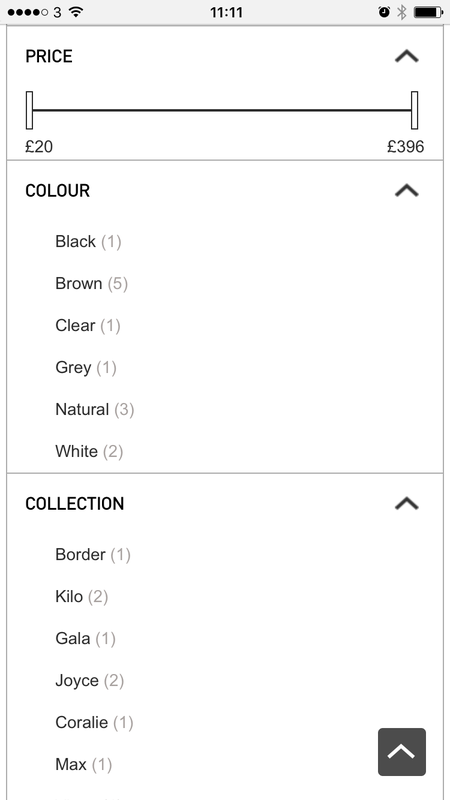 Once you click through to a specific range it’s easy to sort the products. 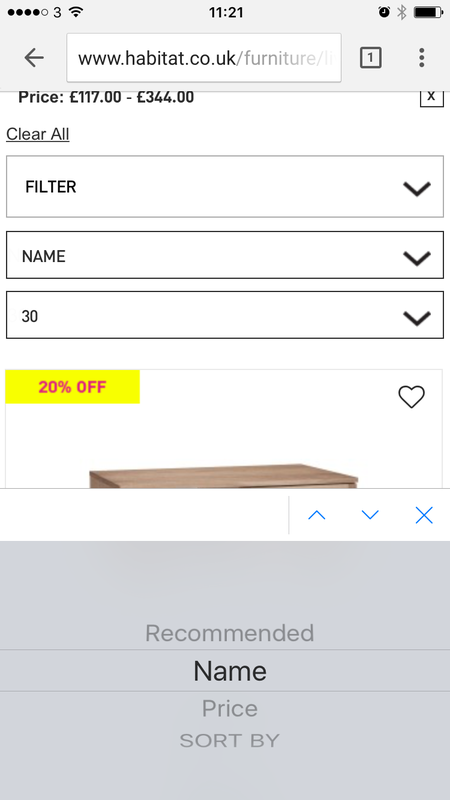 You can filter them by a number of criteria such as colour or collection, or by price using the neat little slider tool pictured on the left below. 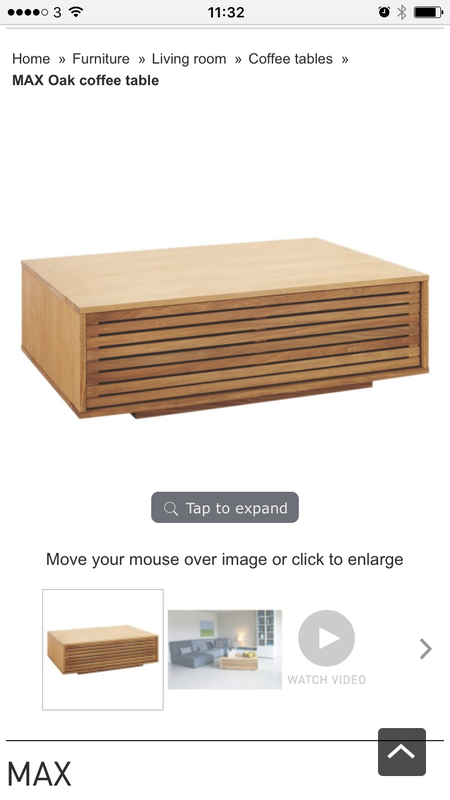 Or you can sort items by recommendations, name or price using the selection wheel shown in the right hand image. 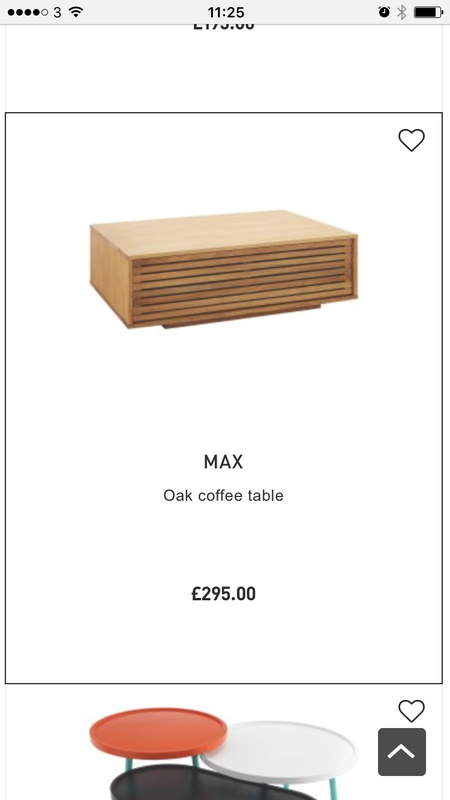 As for the product listings themselves, I like the simplicity: a clear image, the product name and the price, surrounded by a subtle black line that jumps to the next product as you scroll. For some sites I might have suggested that a small description could be added in, but in this case I think the quality of the imagery speaks for itself. It’s not like we’re dealing with technical products here. I have to say the product pages are pretty damn good. 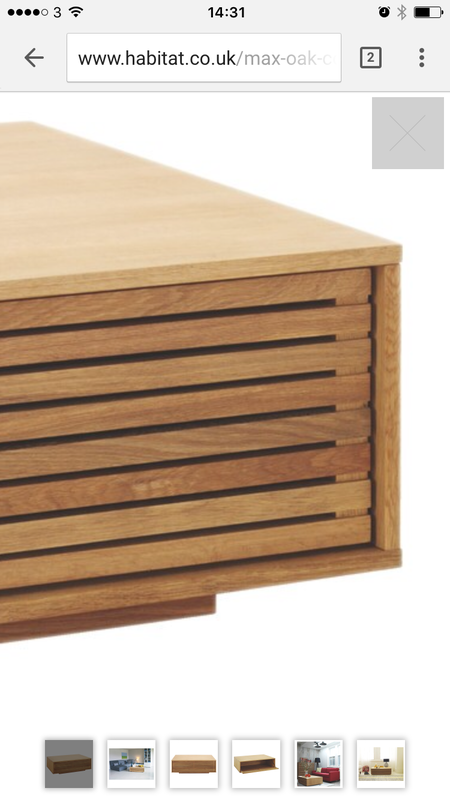 With furniture it’s largely about how things look, so Habitat has quite rightly put a strong focus on imagery. The page includes several different standalone product images from every angle you can imagine, along with multiple lifestyle images where you can see the product in its natural environment. 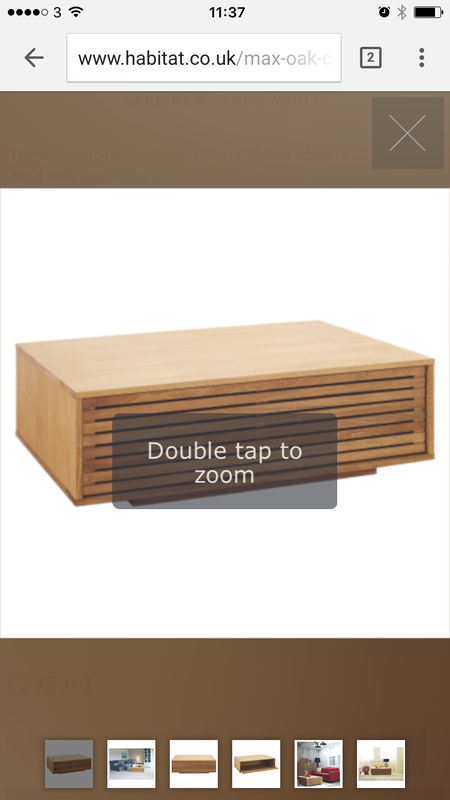 You can tap to expand one of the product images and then double tap within that screen to zoom in further. As you can see below, the detail and quality of the zoomed-in images is fantastic. There are also videos on the product page showing the product range in action, including commentary from an expert at Habitat. This is a clever approach because it caters for various different types of people. Some like reading about a product while others would rather hear somebody talking about it. Providing various options enables Habitat to please the maximum amount of customers. Below the product there is a clear summary, including delivery time, and a big call-to-action button that you can’t miss. It's also worth mentioning at this point that you can tap that upward arrow in the bottom right at any time and be sent back to the top of the screen, which is a nice touch. You can scroll down the page further for written description, which is split into four categories. 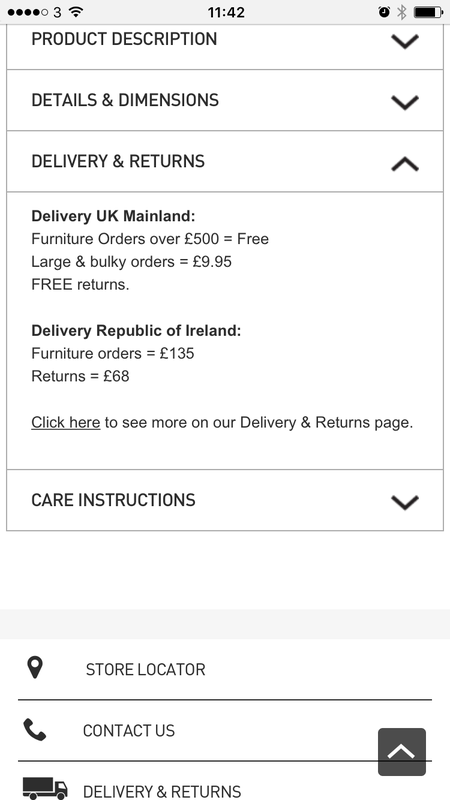 It’s worth noting the clearly displayed delivery cost information. A big positive. When you click on your basket the summary page contains everything it should. Most importantly the total cost, including delivery, is included at this stage. There are also two clear CTAs, whether you want to go to your bag or continue shopping. 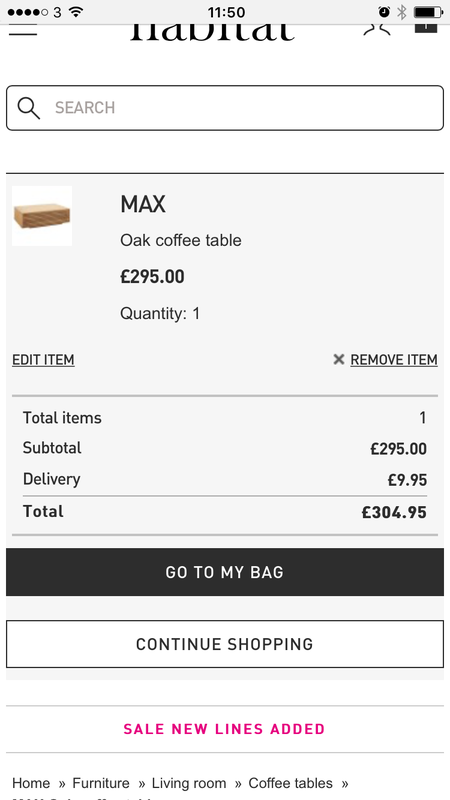 When you click ‘go to my bag’ you’re taken to a full summary page with much of the same information, although at this stage Habitat attempts to cross-sell you other products. This could actually be useful to the customer if there was something they genuinely missed. 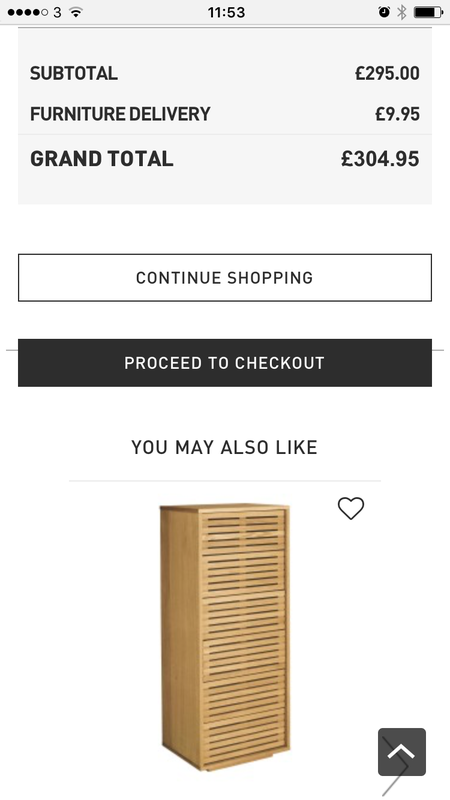 Again there are clear CTAs here, with the ‘proceed to checkout’ being the most prominent button. 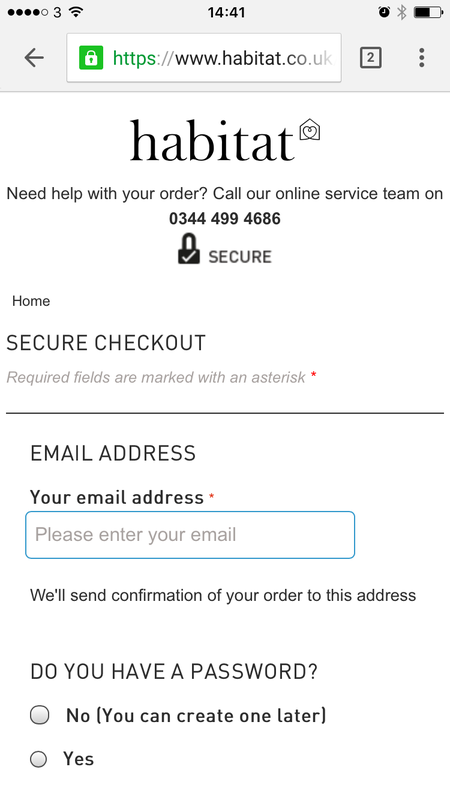 The next page contains further positives: a customer services phone number clearly displayed at the top of the screen, the reassuring ‘secure’ symbol and ‘secure checkout’ wording. 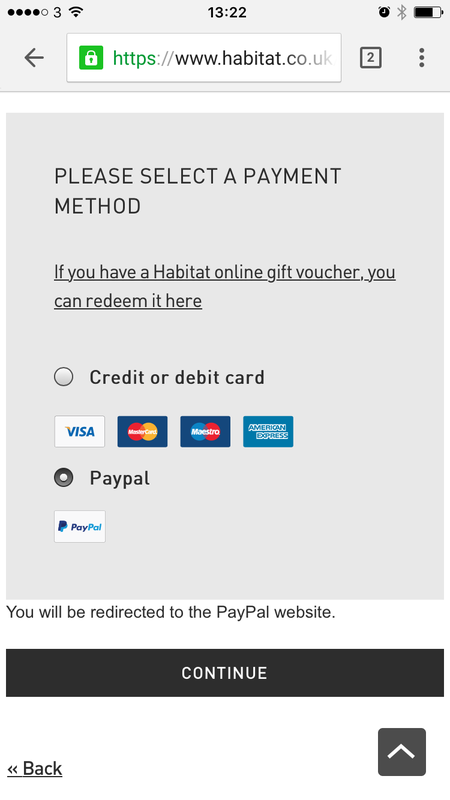 You do have to provide an email address in order to get to the actual checkout, but thankfully Habitat does not force you to register in order to continue with your purchase. Forced account creation usually results in instant basket abandonment for me, unless your site happens to be literally the only place on the internet I can get that product, which is extremely unlikely. 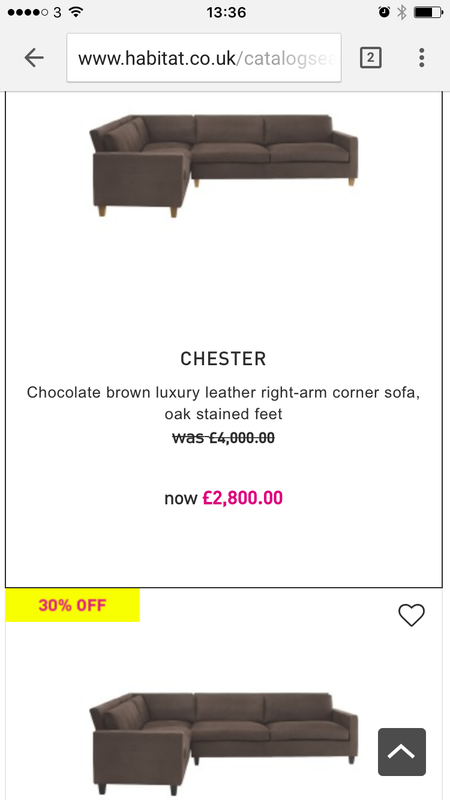 Once the email address is provided, I can see from the handy little progress indicator here that there are just three stages to making a purchase. This results in a sigh of relief from me and a reduced likelihood that I’ll get bored and give up. 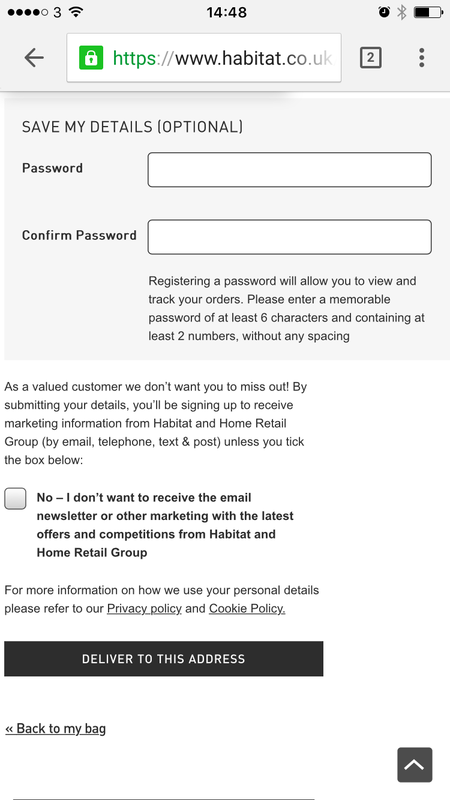 The forms themselves are short and easy to use, again making use of those scrolling selection wheels. And the predictive address selection deserves a special mention. 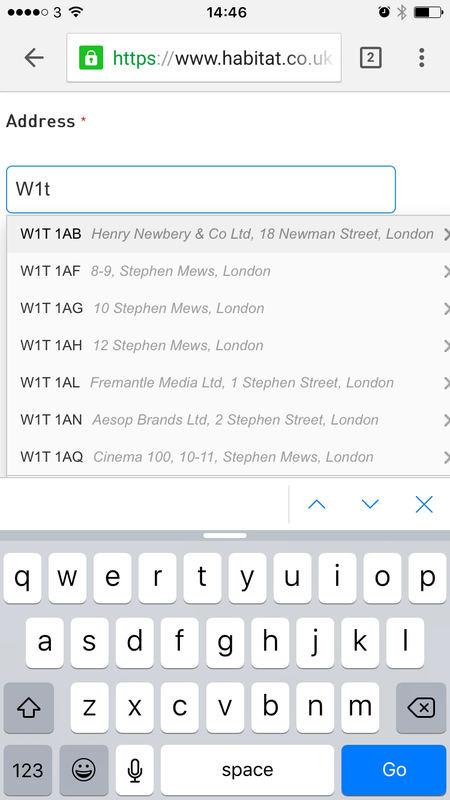 Just start typing a post code and get a gradually more accurate selection of addressed to choose from. 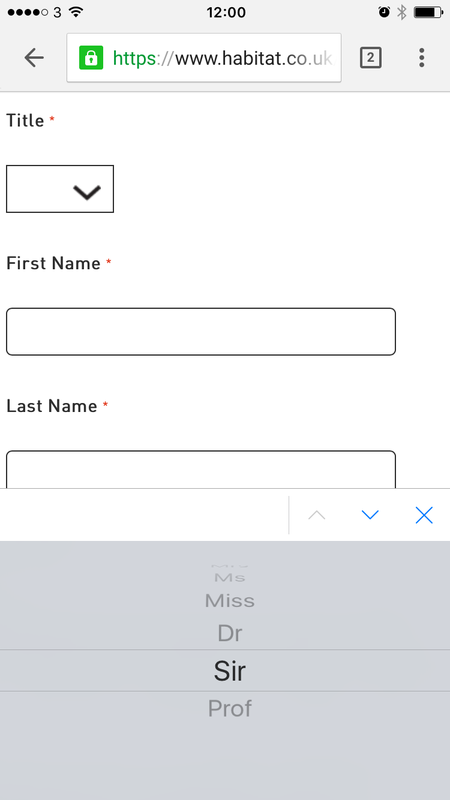 Pick the right one and the rest of the form fills out with one touch. I’ve said in the past that effective UX is designed for lazy people, and this address feature certainly ticks that box. I don’t want to type in my whole address, or even postcode, when your techies can do it for me. You can set up an account at this point by literally just providing a password, meaning your details will be saved for next time. 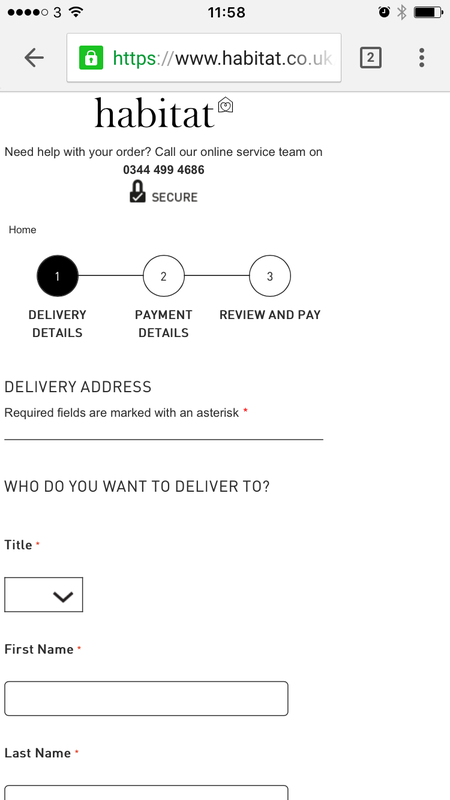 The way this is laid out – after you’ve already input your delivery details – means most people would probably just do it as it requires almost no additional effort. 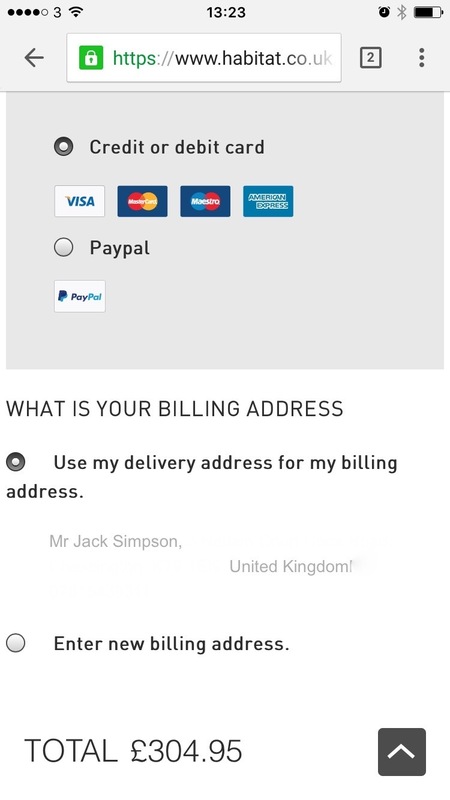 The payment screen provides options for both credit/debit card or Paypal, the latter of which will redirect you to the Paypal site. 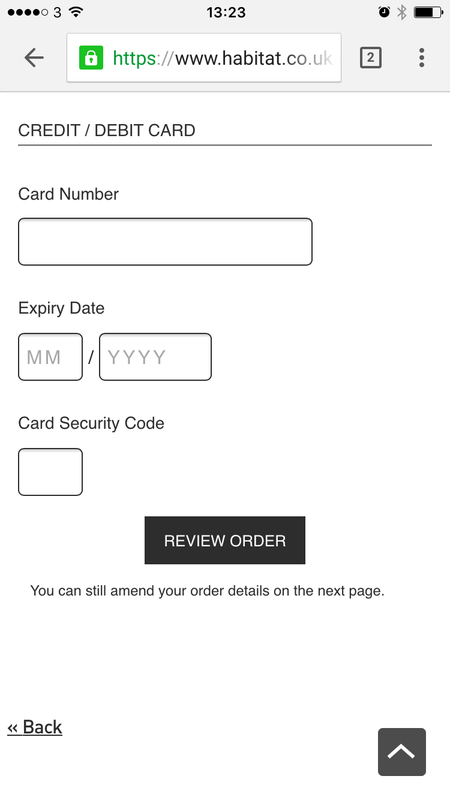 Making it easy for people to use Paypal is important from a checkout UX point of view. The call to action in the right hand picture is another positive. The words ‘review order’ leave no ambiguity as to whether you’ll be charged by clicking, thus increasing customer confidence in pressing ahead. 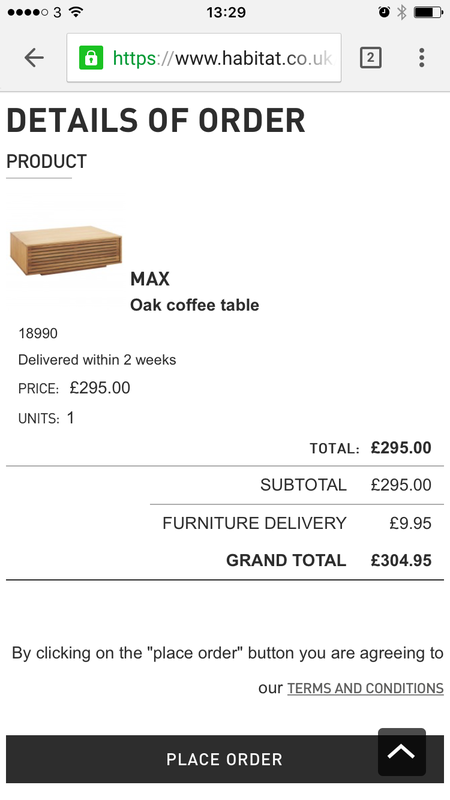 The final screen in the checkout process gives a very clear and detailed summary of your order, including billing and delivery details, delivery times, total cost, and anything else you would want to know. The payment call to action is clear and unambiguous, so no complaints there either. The search bar is displayed nice and clearly on the site, so plus points there. 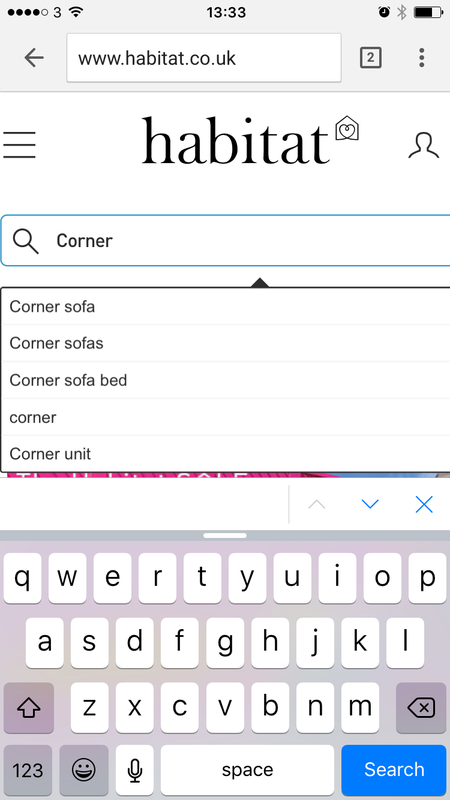 There is also a predictive search function, which in my view is essential for ecommerce sites these days. I’m a very lazy man, I’ll give you that. But so are millions of other internet users. Search results were always relevant to the query, which isn't something you can always rely on from ecommerce sites. 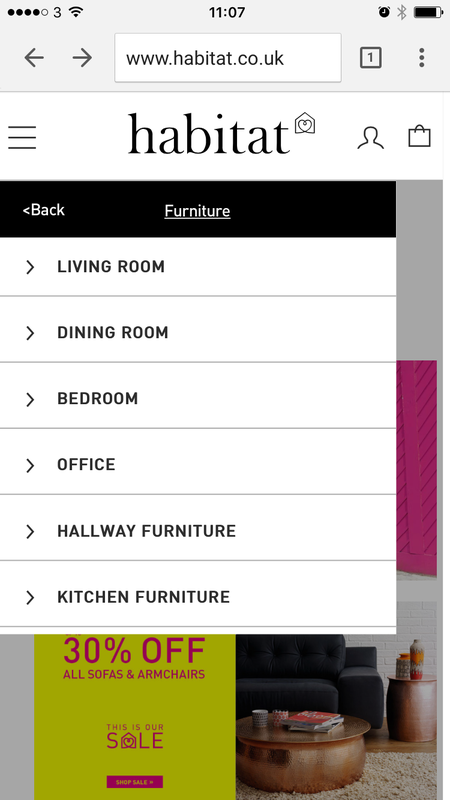 The editorial content on Habitat’s site is undeniably poor, but clearly it has skilled copywriters so it is more a case of coming up with a better strategy and improved formatting. Having said that, perhaps content is something it’s working on, having concentrated more of its efforts on improving the user experience, which, to be fair, is excellent. 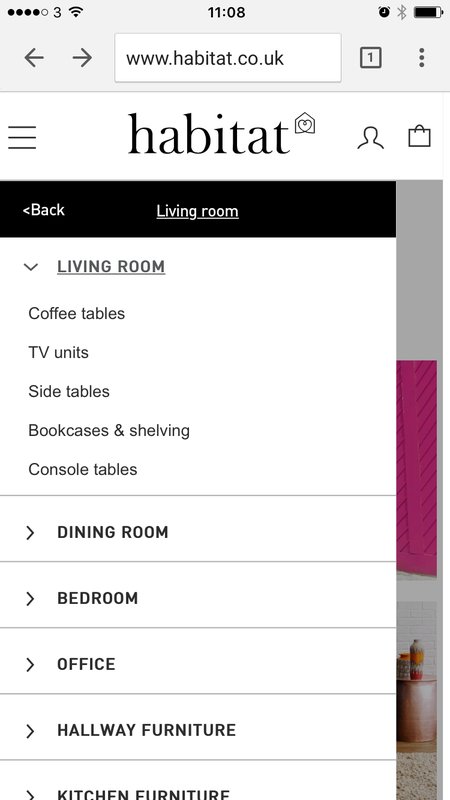 I suppose UX is arguably the most important aspect of an ecommerce site, so overall I would still rate the new Habitat site in a positive way. 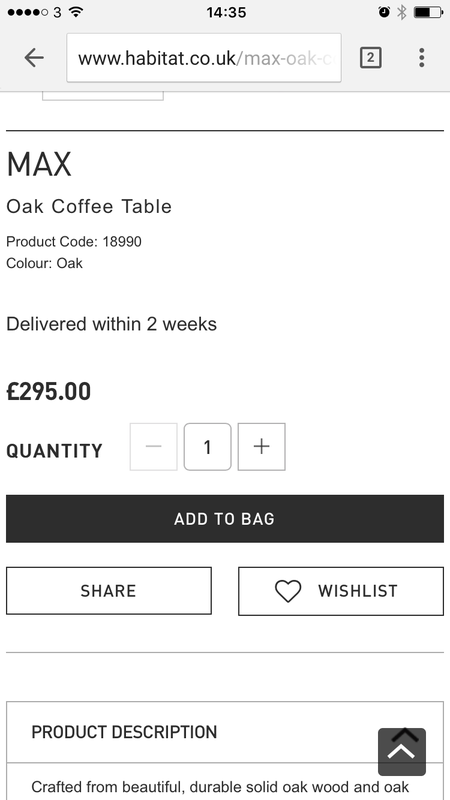 It’s just a shame to have an otherwise pretty decent ecommerce site let down by something that could be quite easily improved.